Disclosure: This is a compensated post in collaboration with Sabra Dipping Company. As usual all opinions are my own. Thank you for supporting the brands that support NJB! 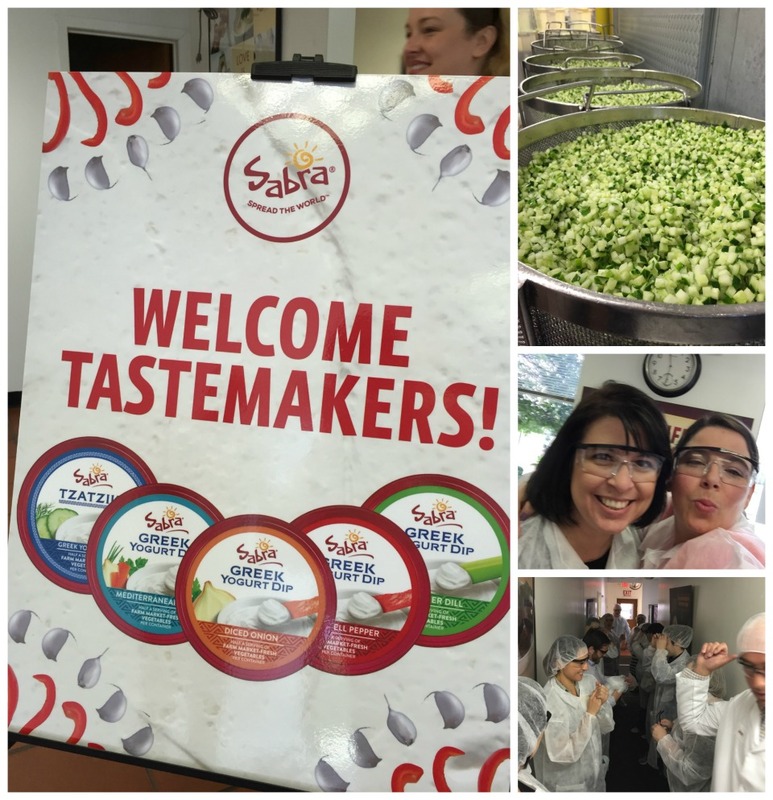 As you know we were in New York City last week for an amazing Sabra Tastemakers trip to the Sabra Greek Yogurt Dipping line made in Farmingdale, NY. You also know how much I love visiting the places where the brands I work with make their products, grow their food, and have a chance to talk with everyone behind the tasty dips. Did you see the Instagram I posted with the fresh cut crisp cucumbers? Check them out, how pretty is that?!! There is always a team of incredible people behind the scenes of these products we all know and love. The heart that goes into Sabra Greek Yogurt is incredible. Meeting the people that have hands on experience with the fresh farmers market vegetables that get stirred into the freshly made yogurt on site is my favorite part. There is real passion and respect for what they do, they really love it. It’s easy to work with companies with high values, always seeking a better flavor and product, who listen to their consumers. That makes my job so much better! Sabra makes it’s own yogurt from scratch, I did no know this, and it is awesome. Of course, if I take a moment to think about it, why wouldn’t they, it makes perfect sense. Seeing the care, and technique that goes into making yogurt from scratch makes it an even better taste and end product. Couple that with the farmers market fresh vegetables, scratch cooking, hand stirring, there is everything to love about this stuff. 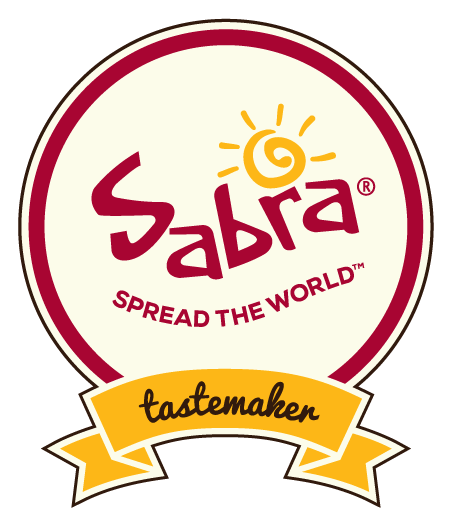 As a Sabra Tastemaker, we get to talk with the everyone from the marketing team to the hands on product makers. So if you have any question, let me know! I hopefully have an answer for you. Over the next few months I’ll be sharing ideas on how to use this Greek Yogurt Dip. Making things like these Chicken Meatballs, fresh vegetables dipper platters, and later how to incorporate them into recipes. 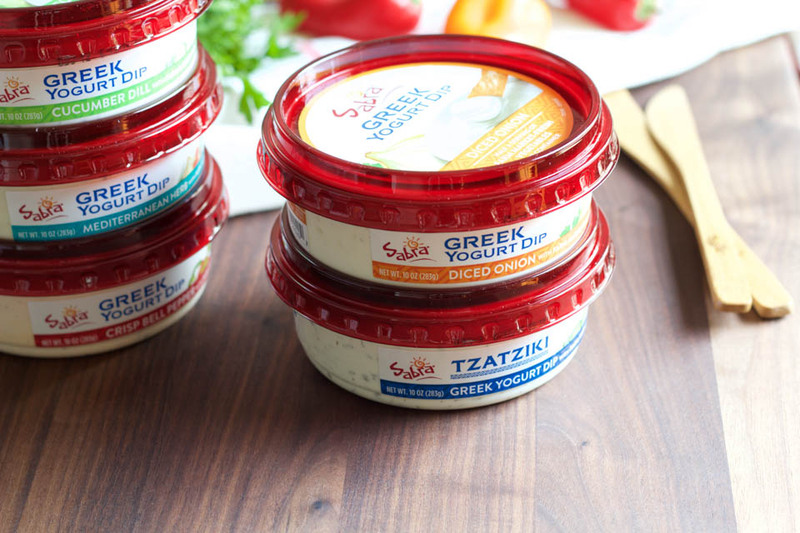 Swapping sour cream based dips, onion dips, or any other high calorie dip for a fresh Sabra Greek Yogurt Dip is always going to be a better choice. not only for our health, but for flavor too. This recipe is perfect for Mother’s Day Brunch, appetizers, and really any gathering as the weather gets nicer, and warms up! I made them in the oven, but you can certainly make them in a pan with olive oil, it’s easy either way. But with baking them in the oven, there is no need to babysit them while they cook. Perfect time to do other things around the house right? These Chicken Meatballs have a touch of bacon for flavors and fat that makes meatballs tender and juicy. The spices are minimal because the favor in the Sabra Greek Yogurt does all the work here! Place oven rack in center of oven and preheat to 425 degrees. Note: I used a cast iron skillet to cook the bacon, then wiped away excess bacon fat, and placed the raw chicken meatballs in the oven safe cast iron. You can use any oven safe pan to cook the bacon and meatballs. If you don’t have any, cook the bacon in pan, and then use a pyrex or oven safe dish to cook the meatballs. 1. Combine bacon, chicken, sweet peppers, panko bread crumbs, parsley, salt, and pepper in a large bowl. Using your hands, mix to combine well. Note: While you want to mix it all together to combine well, gently combine to keep the texture of the meatball light and fluffy. If you mix it roughly, the meatball will be dense and tough. 2. Make about 15 golf ball sized meatballs. Place meatballs in pan or oven safe dish, place in oven for 30 minutes. Remove and place on paper towel lined plate to allow to rest for a few minutes. 3. 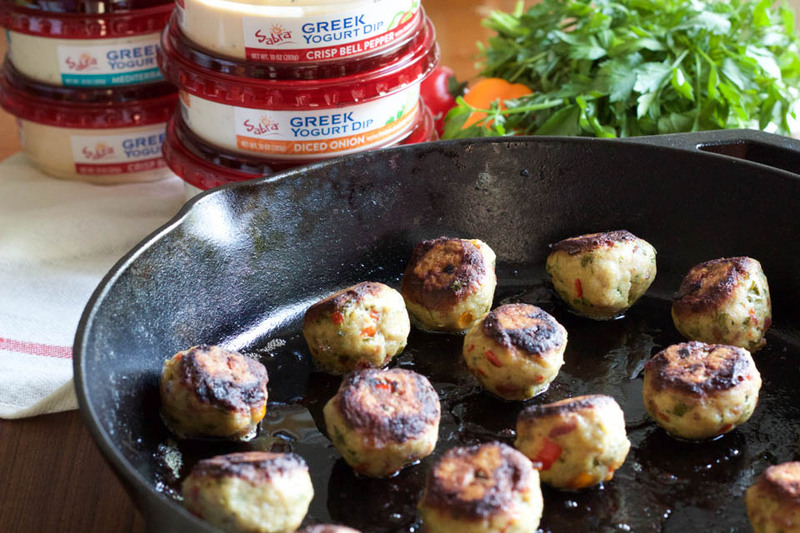 Transfer to a plate and serve with Sabra Greek Yogurt Dip immediately. To make serving easier, you can place a toothpick in the center of each meatball. Best served on same day. If must be reheated, make sure to cover with damp towel to keep moist. Reheat for a few minutes. Grab a coupon to try Sabra products! A special thank you to the amazing people I get to work with, they are incredible people, super talented, and thoughtful. Thank you Ilya, Stephanie, and Corey from Seymour PR, you rock! Cornmeal Sweetpotato Baked Fries, use Greek yogurt dip instead or as well as the avocado! My fellow homey blogging New York City Sabra Tastemakers recipes! 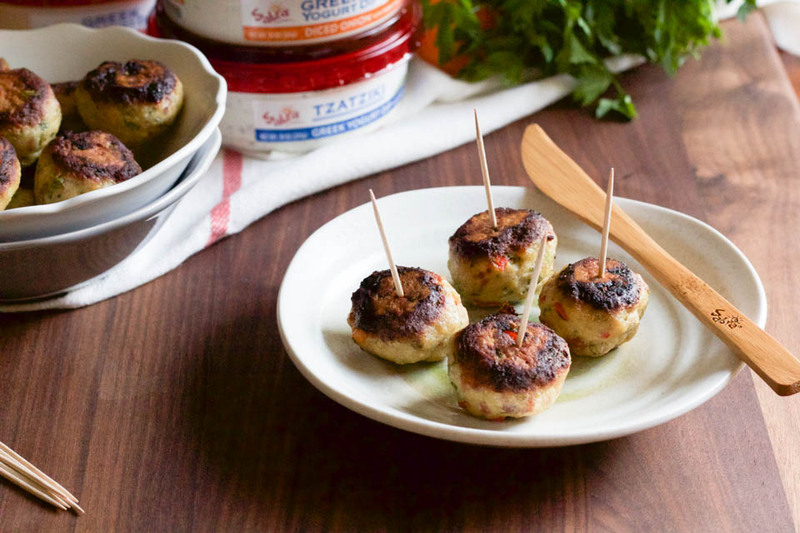 I’m a huge fan of Sabra products and I cannot wait to try these fabulous meatballs and dip! They are super fresh and tasty! Sabra has such a good selection, and those meatballs are perfect for the yogurt dip. They look divine! You can never go wrong with meatballs! 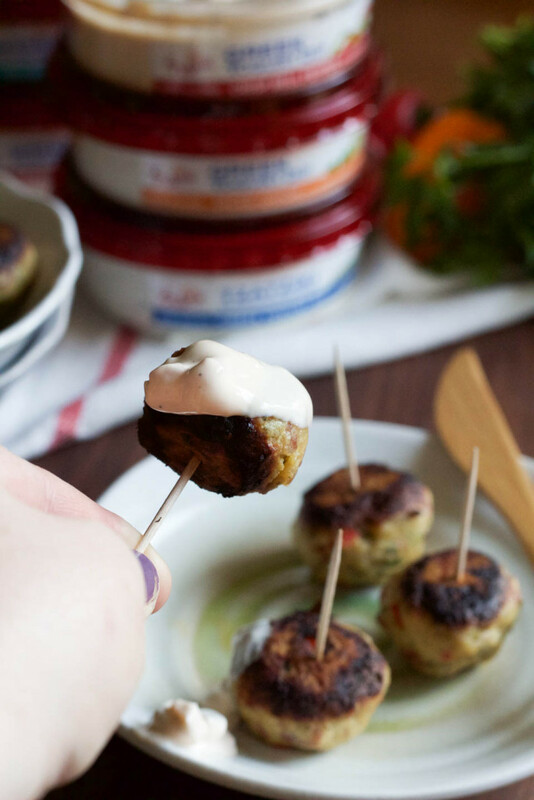 I LOVE that you used bacon in a chicken meatball 🙂 Can’t wait to get my hands on some of Sabra’s greek yogurt dips! Sneaky bacon! Thank you, and yes you do, it is so good!! Loved following along with this trip on social media! And I have to agree with your thoughts about the crew at both Sabra and Seymour — so awesome. Thank you! It was a perfect trip, and yes, they are really the best! I am so glad you got to follow along. I have of course seen and tried Sabra hummus, but not this new line of dips, not yet. I will have to bug my store manager to get them in! Ohhhhh you must try them, they are so fresh! Wow – what a gig being a tastemaker! I love me some Sabra Hummus – dream outing! What a fun opportunity. A great way to change up meatballs. It is so wonderful getting the behind the scenes look and knowing first-hand that the companies we work with are truly as awesome as we think! I’m so glad I got to spend some time with you last week as a part of this! You are the sweetest! I am so happy and grateful we got to spend that time together and walk the streets.